Gustavo Morales aka Ghost began his artistic life in dance and music at a very young age. 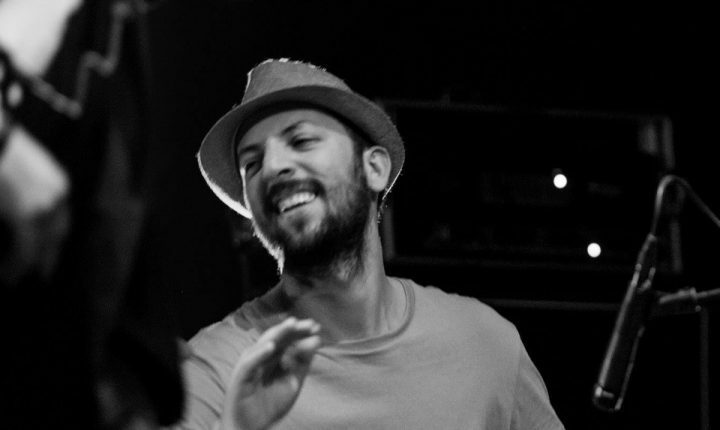 He studied music at “Jose Angel Lamas” in Caracas and started to learn international percussion instruments and Afro-Venezuelan percussion in different schools, such as Bigott Foundation and The Trapatiesta. He later moved to Aragua, where he joined the folkloric group “Cumaco”. In addition, he has taken percussion classes with musicians like Giovanni Hidalgo, Andres Briceño and Estuardo Quiñones, among others and has spoken at events like the 1st Drummers International Meeting. He now resides in the Grand-Duchy of Luxembourg, where he’s developing several projects for the Itinerantes asbl and playing at different venues and European festivals. Currently, he is actively involved with artists such as El Tuyero Ilustrado (Venezuelan Latin Grammys nominated 2017), Nina Harris (UK) or Kelly Sloan (CA) – just to name a few. Besides, he has worked with De Labbel on different musical projects like the European tour of Lil Supa or Sibilino and co-founded “RootsTown Festival”, the first Reggae & Hip Hop festival in Luxembourg.